Just minutes from the hotel, Rocky Mountain National Park is comprised of 415 square miles of some of America’s most beautiful mountain terrain. While RMNP is known to offer a wide variety of activities, including fishing, camping, picnicking, mountain biking, hiking, climbing, horseback riding, cross-country skiing, snow-shoeing, sledding, snowmobiling and more, most visitors come for the sightseeing. In particular, guests enjoy the gorgeous views that can be enjoyed from Trail Ridge Road. Known as a “scenic wonder road of the world” and nationally recognized as an “All-American Road”, Trail Ridge Road is Rocky Mountain National Park’s highway to the sky, traversing 48 miles atop the ridges and mountaintops of Northern Colorado. Immediately climbing 4,000 feet in a matter of minutes, this scenic drive twists and turns for several miles finally cresting above the tree line to a high point of 12,183 feet. From this height, visitors are able to experience spectacular views and a wide array of flora and fauna. The area around Rocky Mountain National Park is a great place to witness the North American elk in its natural habitat, with annual populations varying between 1,000 and 3,200. Fall is an especially good time to visit as it’s mating season and the elk congregate in several areas around the park. Watch as bulls vie for the attention of cows by bugling and making showy displays of their necks and antlers. The Rocky Mountain Nature Association offers several elk viewing tours originating from its facility in Estes Park. These evening expeditions may provide visitors the opportunity to view the elk mating ritual. Enjoy all that the Stanley has to offer and double the adventure with a weeklong pass to Colorado's premier Rocky Mountain National Park. Book this package and save! 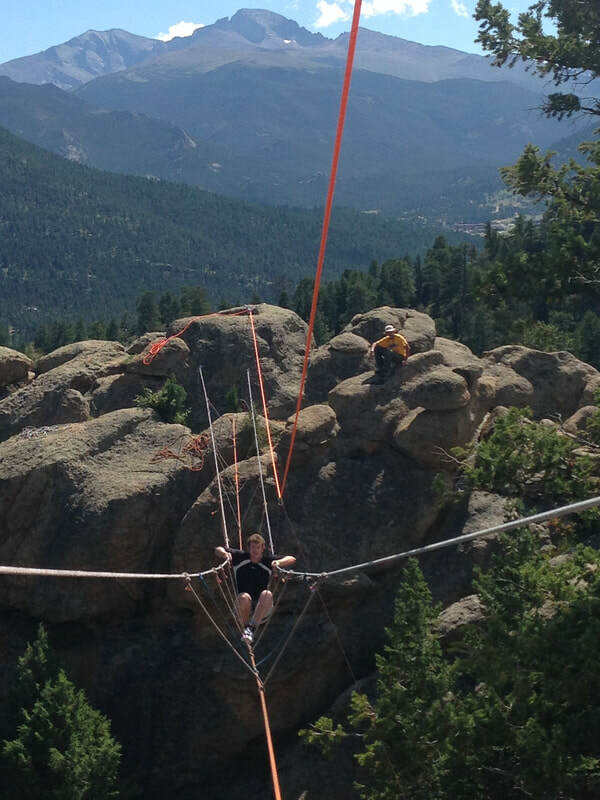 ​The Stanley Hotel and internationally renowned outdoor adventure experts, Kent Mountain Adventure Center (KMAC), have teamed up to create the ultimate way to stay and play in Rocky Mountain National Park (RMNP) this summer! Our custom tailored, all-inclusive adventure packages are perfect for first-timers and seasoned thrill-seekers alike.